Wharf open dawn to dusk. No overnight parking. No fees. Limited parking and no facilities. Lower Marlboro is one of twenty steamboat landings/wharves located in Calvert County. Approximately 36 miles from where the Patuxent meets the Chesapeake, the wharf was an important mode of transportation for local residents, farms, and businesses. 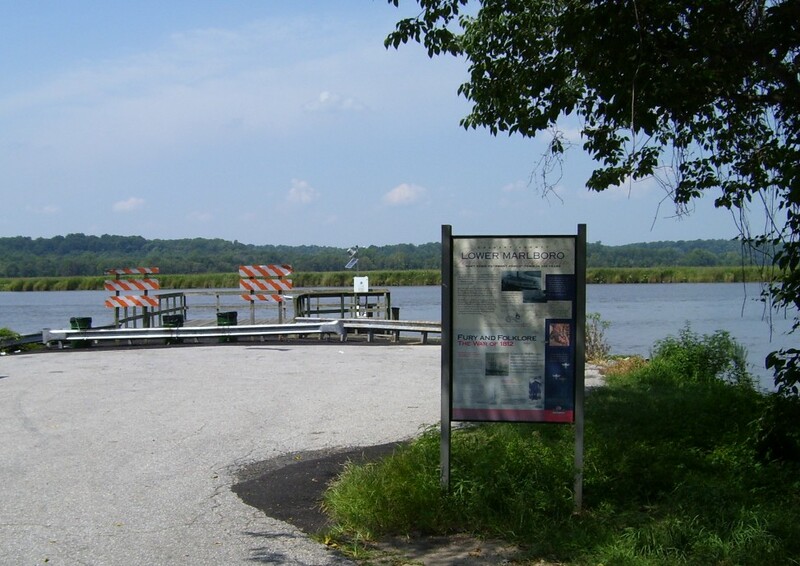 Today, the public can fish from the pier and enjoy the view of the Patuxent River. There is an increased interest in providing safe kayak and canoe access along the Patuxent River in Calvert County. Currently only four locations are available to put in a kayak or canoe: Kings Landing Park in Huntingtown, Hallowing Point in Prince Frederick, Jefferson Patterson Park in St. Leonard, and Solomons Boat Ramp in Solomons. Lower Marlboro wharf, at the end of Lower Marlboro Road, has the resources that make a new kayak/canoe launch feasible. Floating Dock: We are excited to announce that the floating dock has been installed Please ask questions, and provide comments about your experiences and expectations for the wharf. There has been a wharf at Lower Marlboro since 1750. A hand-drawn map of Lower Marlboro, circa 1800, shows a square wharf in its present location with a holding pen not far down the road on the south side. Two warehouses were located north of the wharf. Later documents, as recent as 1923, show an L-shaped wharf with two gable-ended warehouses. Access was an inclined ramp on the south side of the warehouses.